I issued the following statement applauding Secretary of State Rex Tillerson for issuing visa bans against those responsible for the unjustified imprisonment of Kem Sokha, president of the Cambodian National Rescue Party (CNRP). I applaud Secretary Tillerson’s decisive action against the government of Cambodia and Prime Minister Hun Sen. This is a good first step toward restoring democratic gains in Cambodia and a much-needed response to China’s growing influence in Phnom Penh. 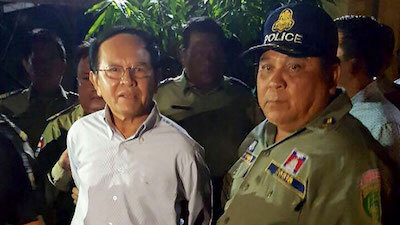 Hun Sen faces a simple choice: release opposition leader Kem Sokha, allow Sam Rainsey to return, reinstitute the Cambodian National Rescue Party, lift his ban on open broadcasting and free speech — or risk further punitive action from the United States. The people of Cambodia deserve better than a strongman dictator; the United States must not relent in our longstanding commitment to preserving freedom there. On October 23rd, I wrote a letter to the Cambodian Embassy demanding the release of Kem Sokha. I issued a release on November 8th following Ambassador Bun Rong’s dismissive response.